At the present time, there are over 700 strains of weed out there. Imagine attempting to sit down and draw each and every one. While that sounds like a pipe dream, illustrator and brand developer Todd Pearl is setting out to do just that. 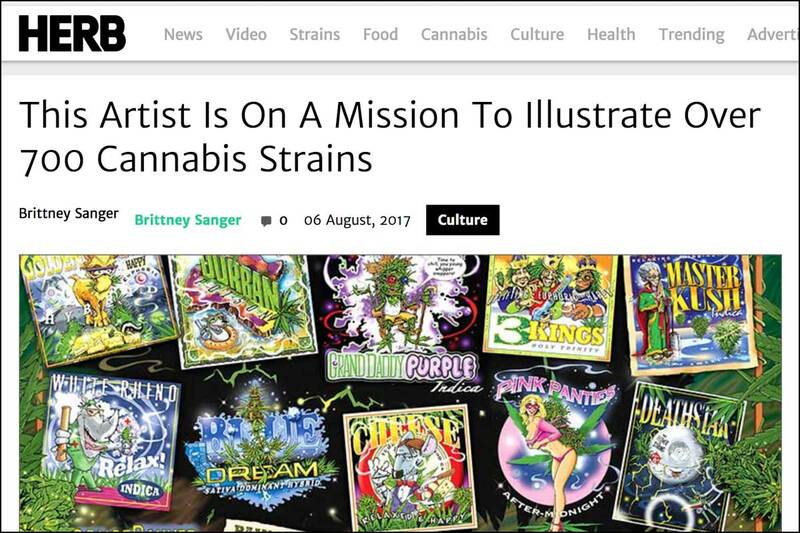 After starting off with 24 individual designs for some of the most popular strains around the world, he is now proceeding with his quest to draw every strain known to humankind. Lucky for us, we had the opportunity to interview The Todd Man to hear more about this exciting journey to making what seems impossible possible.